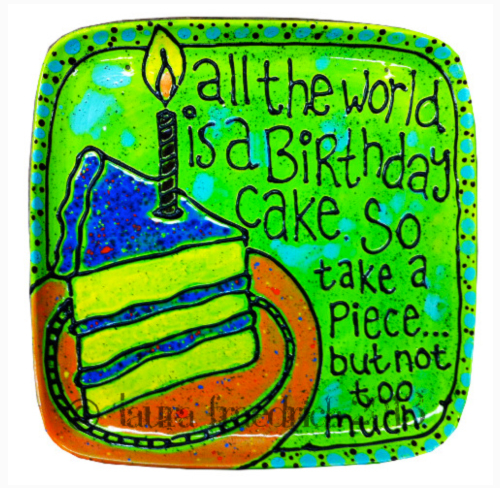 Hello iLoveToCreate® Blog fans! 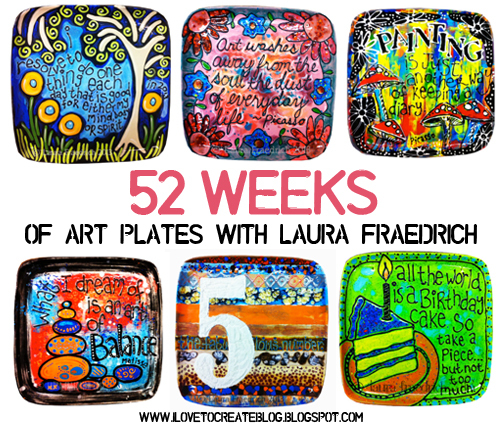 My name is Laura Fraedrich and I am a mixed media and ceramic artist who gets to work at the happiest place on earth….iLoveToCreate®! I work on the Ceramics team and although I’m supposed to be a salesperson, I just can’t keep my hands off of all the Duncan® glazes and bisque pieces that I work around everyday. I am addicted to painting ceramics and no naked piece of bisque is safe in my presence. It won’t be naked for long! 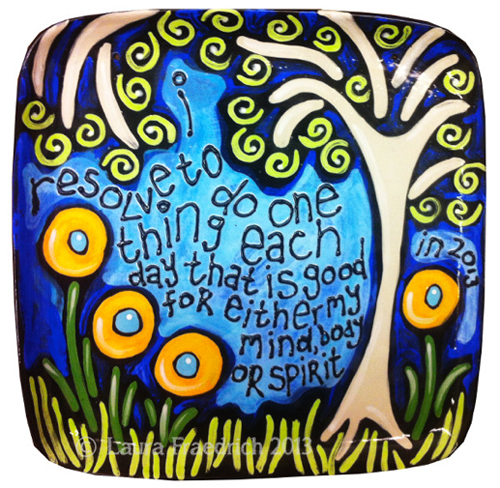 This is what I resolve to do in 2013, in addition to my plate-a-week challenge. This is one of my favorite quotes by Pablo Picasso. I can relate to it because anytime I have a lump of clay or a paintbrush in my hand, I forget all the things I would otherwise be worrying about. I’m sure you can relate too! 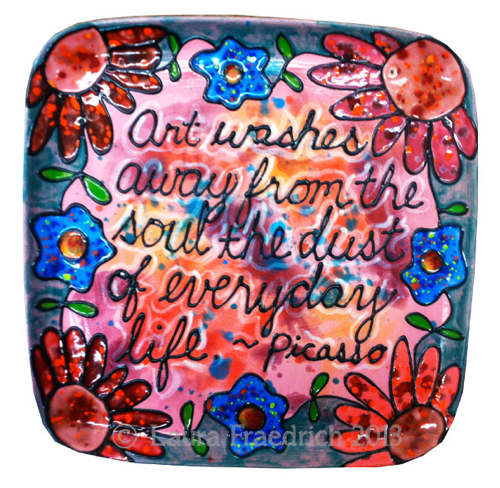 This is another great quote from Picasso and fits my plate-a-week challenge perfectly. 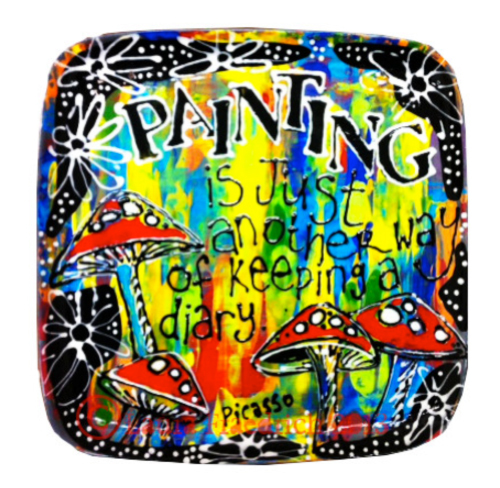 I’m going to be keeping my diary on ceramics this year! 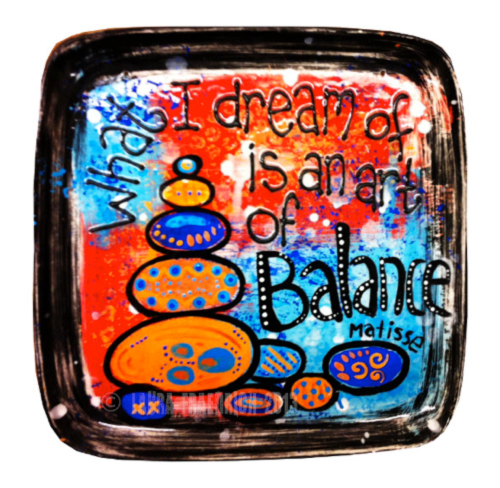 This is a quote from another one of my favorite artists, Henri Matisse, which fits well with my ode to Cairns (stacked rocks). 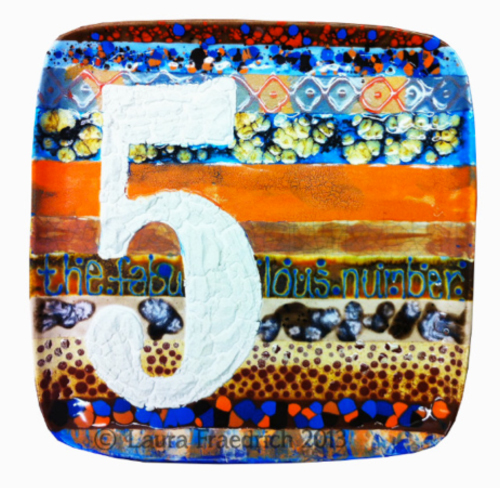 This plate was inspired by a project I saw in a recent issue of Somerset Studios by Gail Russakov. I love how she combined different textures and colors, so I wanted to create something similar using a wide variety of Duncan® glazes. You guessed it! I made this one the week of my birthday. It’s a quote from the Beatles song, It’s All Too Much. I can’t say I have ever heard the song, but I sure do like the lyric! Thanks, George Harrison. That brings you up to speed! I look forward to sharing my next 46 plates with you. These are fantastic! I look forward to the upcoming plates! I'm interested in this project, although I'm not an artist (not even close). But for some crazy reason, I love ceramics. So, when does #7 and #8 begin? And, what is the cost of the class; do we but our own supplies, or order them through you? Most importantly,please let me know when the class begins, since we are traveling around the middle of April.